single bedroom apartement in the private hamlet of castle Hermitage de Combas. Private terrace with dining table, kitchen, large bedroom and a bathroom. View on vineyard. You can enjoy castle leisure activities: large heated pool, tennis court, gym room, ... A professional restaurant operates on site for diner. Castle is peaceful and surrounded by extensive grounds and vineyard. The area is well known for the beach, the wine and monuments listed on the world heritage list such canal du Midi or Carcassonne. charming apartment south oriented with view on vineyard and Hermitage de Combas castle gardens. 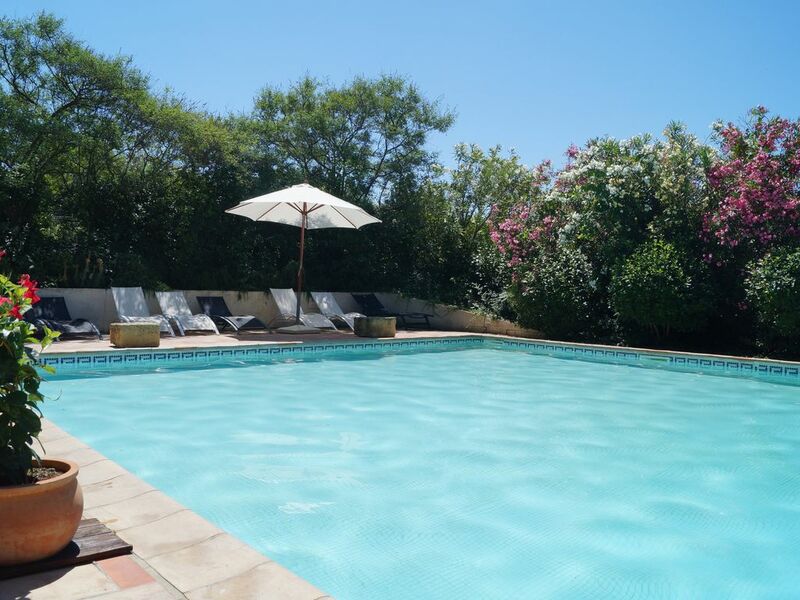 The castle surrounded by vineyards has a large heated pool, tennis court, fitness room, billiard,table tennis, bikes and massage service to relax. from mid may, a professional restaurant operates on site for dinner. In the garden you will enjoy sun chairs area for sunbathing. In your apartment a wine store to taste local wine production. The property has several charming apartment from 1 to 4 bedrooms each with balcony or terrace, some in the castle, some in the private hamlet. Aeronautical engineer, I'm from this region. I bought the castle in 2009 and has renovated the apartments. I'm living there with my family. Peaceful place with a lot of character but easy access to the local main point of interest. Nearest airport: Béziers, Montpellier, Carcassonne. Nearest TGV train station: Béziers, Montpellier. Between seaside and hilly hinland. Nearby the nice middle age town of Pezenas. In summer, bar at pool house and professional restaurant for diner on terrasse.